256p. bibliog. index. Scholastic. Mar. 2019. Tr $18.99. ISBN 9781338255669. Gr 9 Up—The author of several award-winning titles for adults has written a riveting tale for younger readers. On Sunday, July 18, 1965, navy pilot Jeremiah Denton took off from the aircraft carrier Independence on a bombing mission over North Vietnam. The mission was never completed, as Denton and his bombardier/navigator, Bill Tschudy, were shot down, captured, and transported directly to Hanoi. 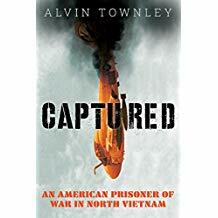 Since the United States had not declared war, the North Vietnamese claimed they did not have to abide by the Geneva Convention concerning the treatment of prisoners of war (POWs). They administered beatings, held captives in inhumane solitary confinements, and provided inadequate food rations. Denton, Tschudy, and most all other POWs were held at the Hanoi Hilton and Alcatraz at various times during their imprisonment. Since Denton was the highest ranking American captive, it was his responsibility to lead and encourage the more than 400 prisoners. The description of the solitary confinement and torture of the POWs is not for the faint of heart. Denton and his fellow POWs were released in February 1973 after almost eight years of captivity. Black-and-white photos are sprinkled throughout. Back matter contains an excellent epilogue and bibliography. Sensitive and young readers and those who have claustrophobia may find the content unsettling. VERDICT This excellent description of this episode of U.S. history should be among first purchases.